Fluid flow measurement is very important in an industry such as the oil refinery ( refinery ) , electricity generation ( power plants , industrial chemicals ( petrochemicals ), Industrial waste treatment, food and beverage industry and the Pharmaceutical Industry . In the process industry such as this, requires a determination of the quantity of a fluid (liquid, gas, steam, powder ) flowing through a measuring point, either in the channel closed and open channels ( ditches, streams ). Flow parameters can be measured : volume flow rate, mass flow rate, flow velocity. Instrument for measuring the quantity of fluid flow is called flow meter . Applications using Flow Meter has a wide coverage as part of its developers sensor flow meter, sensors and fluid interaction through the use of computer counting techniques ( computing ), transducers and signal processing to do with the unit ( transmitter ), as well as the assessment of the overall system under conditions idealized environment, easily waterlogged conditions due to weather, conditions in areas of hazardous and explosive as well as on the location of the laboratory or in other confined space. Flow meter has a lot of types, sizes and models, because it kind of flow meter that will be used should be completely adjusted primarily to the needs of the application in the field . 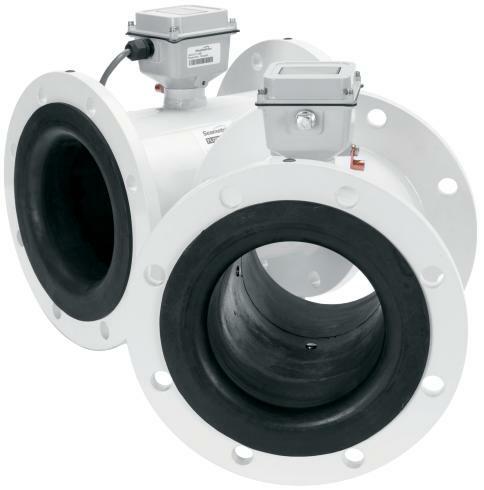 Because if the selection of this type of flow meter is less precise it will cause higher costs either because of the age of the flow meter itself or the accuracy of the fluid flow measurement accuracy is less precise. If observing the workings of flow meter that can vary according to the type of flow meter then the important thing to note such kind of fluid, fluid density, temperature, acidity of the liquid, working pressure, explosion proof environment, even the cleanliness of the fluid also should be informed as consideration to determine the appropriate type of flow meter . In terms of the type of fluid to be measured by a flow meter apparatus is divided into 3 parts : a fluid flow meter for liquid, gas and fluid solid fluid ( flour, powder, sand and others ). 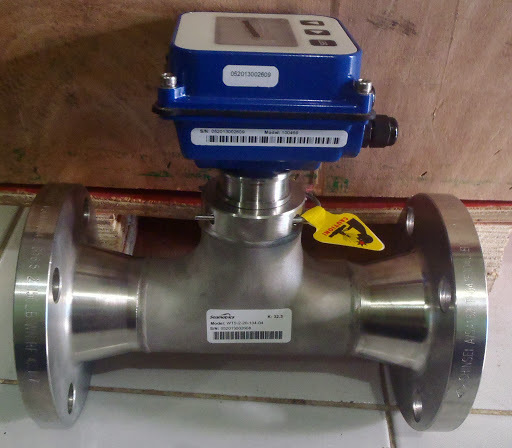 Almost any type of flow meter can be used to measure the fluid flow of liquid and some types can be used to measure fluid gas ( nitrogen, oxygen, compressed air, steam and other ). Installation of flow meters while the system there are also several types of inline system where the pipe through which the fluid to be cut, Insertion type where fluid -carrying pipe and transducer in the holes Fluid flow measurement is very important in an industry such as the oil refinery (refinery), electricity generation ( power plants ), industrial chemicals (petrochemicals ), Industrial waste treatment, food and beverage industry and the Pharmaceutical Industry . In the process industry such as this, requires a determination of the quantity of a fluid (liquid, gas, steam, powder ) flowing through a measuring point, either in the channel closed and open channels ( ditches, streams ). Flow parameters can be measured : volume flow rate, mass flow rate, flow velocity. Instrument for measuring the quantity of fluid flow is called flow meter. Flow meter has a lot of types, sizes and models, because it kind of flow meter that will be used should be completely adjusted primarily to the needs of the application in the field. 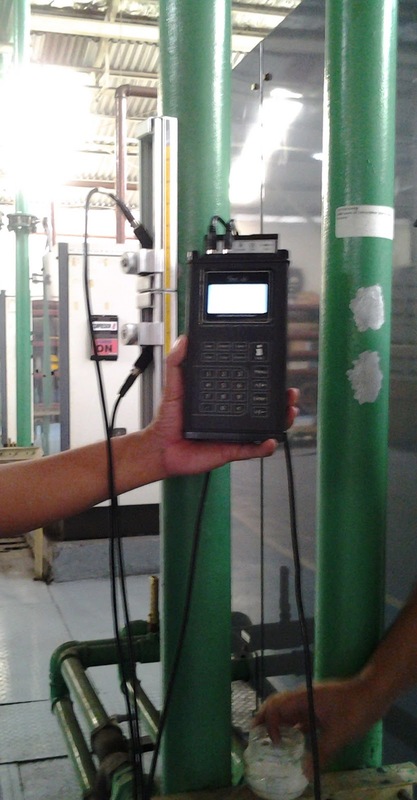 Because if the selection of this type of flow meter is less precise it will cause higher costs either because of the age of the flow meter itself or the accuracy of the fluid flow measurement accuracy is less precise. If observing the workings of flow meter that can vary according to the type of flow meter then the important thing to note such kind of fluid, fluid density, temperature, acidity of the liquid, working pressure, explosion proof environment, even the cleanliness of the fluid also should be informed as consideration to determine the appropriate type of flow meter. Installation of flow meters while the system there are also several types of inline system where the pipe through which the fluid to be cut, insertion system in which a fluid -carrying pipe and transducer in the holes of the flow meter can be installed in the pipe that had been hollowed out and clamp system on or clip on where transducer of flow meter stick enough in hand outside the pipe. Installation type flow meters with Clamp System is only held on by a type of transducer Ultrasonic Flow Meter where enough of posting outside the pipe side and fastened with clamps. On the Use of Ultrasonic flow meter clamp on there are 3 types of transducer sizes are small, medium and large.